John Cameron was a cabin passenger on the Blenheim, so was not included on the list of assisted passengers. Newspaper accounts of the departure and arrival of the Blenheim note that John Cameron was one of the cabin passengers. John Cameron was a member of the family of Camerons of Callart. 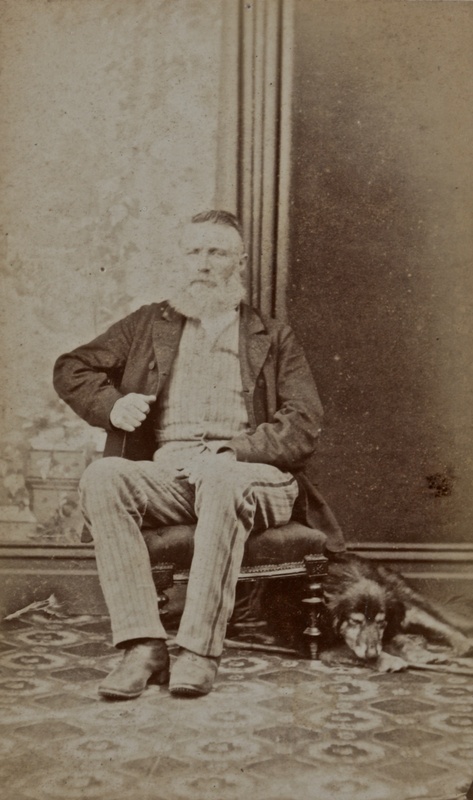 According to Somerled MacMillan in Bygone Lochaber, he was born at Lochmaddy, North Uist, on 7 October 1817, the son of Allan Cameron and Mary Campbell, daughter of Duncan Campbell of Ardgour House. Callart lies on the northern shore of Loch Leven, directly opposite Glencoe, but was forfeited to the Crown because of the participation in the 1745 rising by Allan Cameron, 9th of Callart. His son John Cameron, 10th of Callart, recovered the estate by payment of a fine, but he then sold Callart to Ewen Cameron of Fassiefern, and was succeeded, as representative of the family, by his brother James. James’ second son Allan succeeded him as representative of the family, and after serving as Captain and Paymaster of the Lochaber Fencibles, Allan Cameron was factor for Lord MacDonald in North Uist for a period of 27 years and resided at Lochmaddy, where John Cameron was born. John Cameron’s grandmother, Mary Cameron, wife of James Cameron and daughter of Alexander MacSorlie-Cameron, 12th of Glenevis, was the aunt of Jessie Cameron, who married Moses Campbell, making John Cameron and Jessie Campbell first cousins, once-removed. John Cameron and the Campbells were fellow-passenger on the Blenheim, and neighbours and business partners in Wanganui, New Zealand. 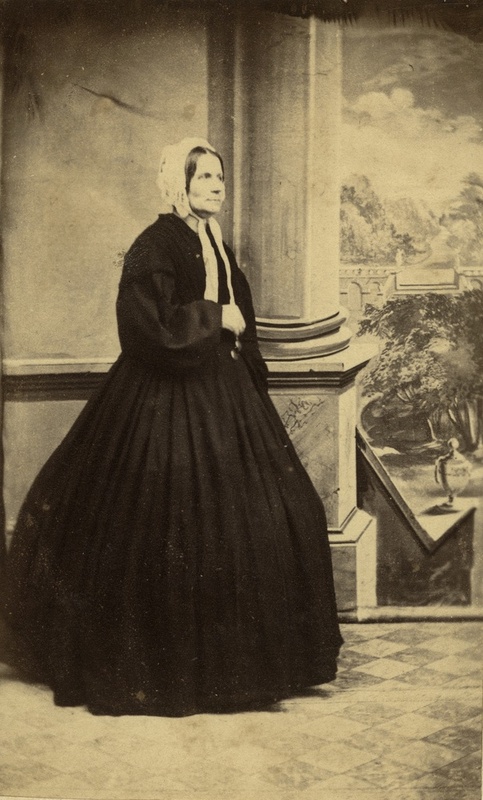 Jessie Campbell made no overt reference to the family relationship in her Journal or letters, although she was full of praise for his character and hard work. Survey work and the allocation of sections of land in Wanganui took longer than expected because of the failure of the New Zealand Company to finalise purchase arrangements in Wanganui with the Maori tribes concerned. It took until 1848 before Governor Gray brokered a solution and Donald McLean negotiated the details of the purchase. Up until then John Cameron and Moses Campbell had been working on the land they had selected, although troubles with Maori in 1847 meant that their cattle had to be moved to Waitotara. Once the land purchase was settled, the Campbells built a house at Wiritoa and John Cameron lived with them and supervised the running of both that property and his adjoining section of Marangai. In 1853 the partnership with Moses Campbell was terminated, and John Cameron built his own house at Marangai. In 1863 problems with the Maoris re-emerged. John Cameron raised a troop of volunteer cavalry from the local area and a blockhouse was constructed. It was with deep regret that we heard yesterday of the death of Captain John Cameron, of Marangai. None of our readers, we are sure, will read of his death without concern, for a kinder heart was not known in the district nor one more entitled to the respect of either rich or poor. Mr Cameron was one of our oldest settlers, and at such a juncture one cannot avoid the thought that the sturdy race of pioneers who have been the very backbone of the country are surely and swiftly passing away from amongst us. Mr Cameron arrived in New Zealand in 1840, over half a century ago, and we believe that at least 50 years of that time have been spent in Wanganui. In the early days of his colonial life the deceased was in partnership with the late Captain Campbell, and the two estates of Marangai and Weretoa were held between them. 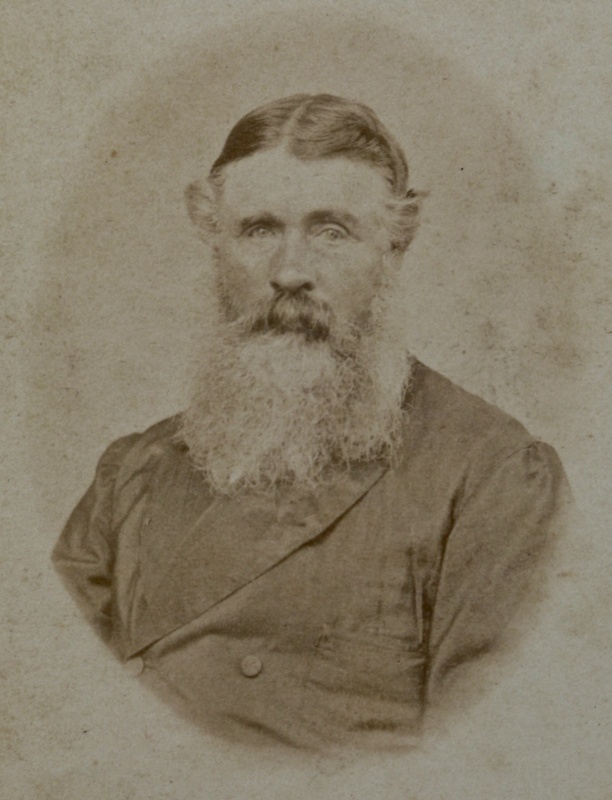 In the time of the wars Captain Cameron did good service as captain of the Wanganui Cavalry, but for many years before his death he had ceased to take any active interest in Volunteering. He was President of the Wanganui Jockey Club, and a successful horse breeder, although he never ran any of his horses at the races. In character he was quiet and unassuming, and he preferred the quietude of private life to the stir of public business. He was a kind and hospitable friend, and his family of four sons and one daughter will in their bereavement have the sympathy of all with whom he was ever brought into contact. The funeral takes place to-morrow afternoon, leaving Marangai at 1 o’clock. Allan Cameron, born in 1865, died in 1950, married Maude Mary Ralston in 1892. John Cameron, born in 1867, died in 1915 (WW1, also served in Boer War). Hector Sutherland Cameron, born in 1869, died in 1944, married Eleanor Grierson Robertson in 1906. Mary Cameron, born in 1871, died in 1954, married Henry William Wilson in 1897. James Cameron, born in 1873, died in 1916 (WW1, Australian Forces). Jessie Campbell kept a detailed journal of the voyage of the Blenheim, and also wrote many letters to family and friends back in Scotland. This material provides a fascinating view of life on the Blenheim, and in early colonial New Zealand, from Jessie’s perspective (see Jessie Campbell’s Journal and Letters). 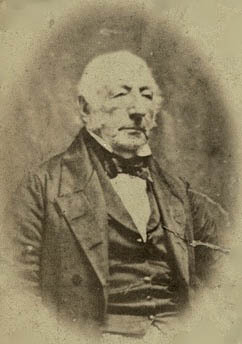 Moses Campbell was born around 1787, the son of John Campbell of Inverliver and Susan Cameron of Breadalbane. Moses Campbell served in the 72nd Regiment, the Duke of Albany’s Own Highlanders. In February 1811 Ensign Moses Campbell was promoted to be Lieutenant without purchase, and in 1828 Lieutenant Moses Campbell from the 72nd Foot was promoted to be Captain of Infantry. On the death of his father, Moses Campbell left the Army on half-pay and seems to have lived in Glasgow while he tried to sell the estate of Inverliver, on Loch Awe in Argyll. Moses Campbell and Jessie Cameron were married in 1827, when he was around 40 and she was 19. After advertising it for a number of years, Moses Campbell sold the Inverliver Estate in 1836 having already moved to Achindale, near Fort William and the home of Jessie’s family. 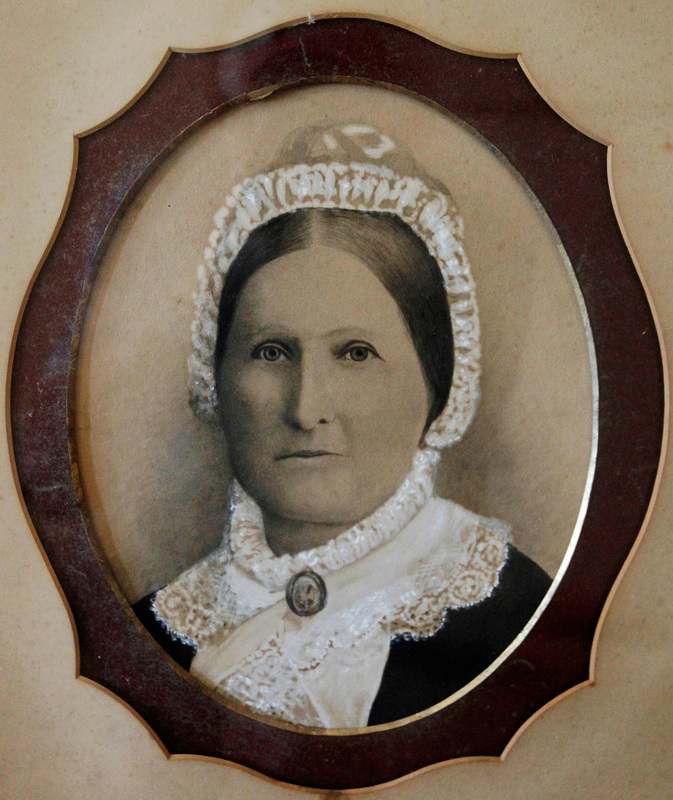 Susan Ann Campbell, born on 24 October 1830 to Capt. Moses Campbell 72nd, Achandell, and Jessy Cameron, baptized 13 November (OPR, Kilmonivaig). On arriving in Wellington it was found that titles to the land in Wanganui were delayed, and in 1841 Captain Campbell sailed to Sydney with a deputation to the Governor. Although the titles remained unsettled, the family moved to Wanganui in November 1841, travelling on the Clydeside, which was nearly wrecked on the North Spit at the entrance to the Wanganui River. Moses Campbell formed a partnership with John Cameron, who had also travelled on the Blenheim as a cabin passenger, and while waiting to take possession of their land built a town house. They also leased land at Putiki and later grazed stock at Kaitoke. Jessie’s letters home to her family give us some insights into the life they led and the problems they faced, including the continuing issue of finding and keeping servants, not to mention the gossip about her friends and neighbours. In 1847, the settlement at Wanganui was attacked by Maori and Captain Campbell took his family to Taranaki, where they lived for a several years, returning in 1851 when peace was achieved. In 1853 Moses Campbell completed the first house at his property “Wiritoa”, which also served as a blockhouse. The property bordered Lake Wiritoa which was about three miles from Wanganui. In 1857 the partnership with John Cameron was dissolved. 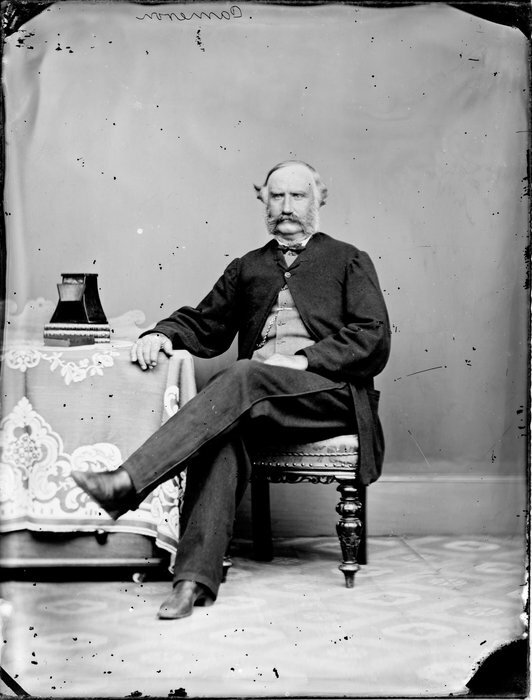 In 1841, Moses Campbell had been appointed as a magistrate in Wellington Province, and represented Wanganui and Rangitikei in the Wellington Provincial Council from 1857 to 1861. He was also an elder in the Presbyterian Church in Wanganui. Moses Campbell died on 20 September 1862, aged 75. On Sunday afternoon Mrs Campbell (widow of the late Captain Campbell), one of Wanganui’s oldest and most respected residents, passed peacefully away to her rest. The deceased lady, who was in her 78th year, succumbed to an attack of bronchitis, which an enfeebled system was too weak to resist. Though she had been ailing for about a fortnight, she was only confined to her room for four or five days, and retained perfect possession of her mental faculties to the last. Mrs Campbell, with her husband, arrived in the Colony in the year 1840, landing at Port Nicholson, and soon after coming on to Wanganui, where the family have resided ever since. Among the surviving passengers by the vessel which brought Mr and Mrs Campbell from the Old Country may be mentioned Mr John Cameron, of Marangai, and Mrs Gregor McGregor, of Wilson street, old settlers who have borne the heat and burden of the day. The deceased lady and her husband experienced all the vicissitudes common to the early settlers. On one occasion, during the early Maori troubles, they were obliged by the military to quickly abandon the house in which they were living, at what is now the corner of Wilson and Ridgway-streets, as it was considered a dangerous outpost and likely to invite attack from the natives who were hovering round. The place was therefore vacated, the occupants retiring to the town stockade, which stood on the spot now occupied by the Ship Hotel. The deserted house was partially destroyed by the troops, but the ruins were subsequently taken possession of by the Maoris. These were the days of stirring scenes, numberless stories concerning which have been told by the old residents, whose ranks are now so rapidly thinning. The lady who was the subject of our present notice was much loved and respected for her kindly nature and charitable disposition, evidences of which were abundant in the days gone by. She leaves to mourn her loss four sons and three daughters, all grown up. William Patrick Campbell, born in 1841, died in 1925, married Annie Edith Powell in 1881. Ewen Alexander Campbell, born in 1843, died in 1934, married (1) Helen Barbara McDonald in 1873, (2) Alice Jane Stedman in 1878. Isabella Elizabeth Campbell, born in 1845, died in 1931, married John Tyleston Wicksteed jnr in 1866. Helen Ann Campbell, born in 1847, died in 1932, married Samuel Roland Garrett in 1873. 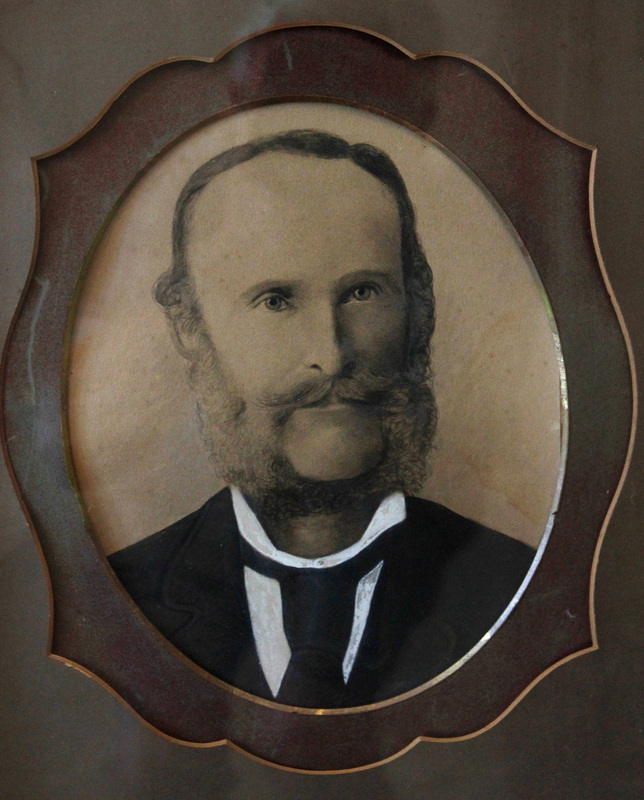 Robert Andrew Campbell, born in 1850, died in 1904, married Sarah Annie (Daisy) Stedman in 1880. Mary Susan Campbell, born in 1852, died in 1940, married Andrew Cunningham Bruce in 1888. The Old Parish Register for Kilmonivaig recorded that John Cameron, son of Capt. Moses Campbell, Achandall, and of Jessy Cameron, was born on 18 September 1832, and baptised on 22 October 1832. The Old Parish Register for Kilmonivaig recorded that Colin Macmillan, son of Capt. Moses Campbell of 72nd, Achandell and Jessy Cameron, was born on 3 July and baptized on 14 July 1834. Colin McMillan Campbell died in 1879. The Old Parish Register for Kilmonivaig recorded that Louisa Margaret, lawful daughter of Captain Moses Campbell and Jessie Cameron, Achnadall, was born on March 19th and baptized on 12 April 1836. 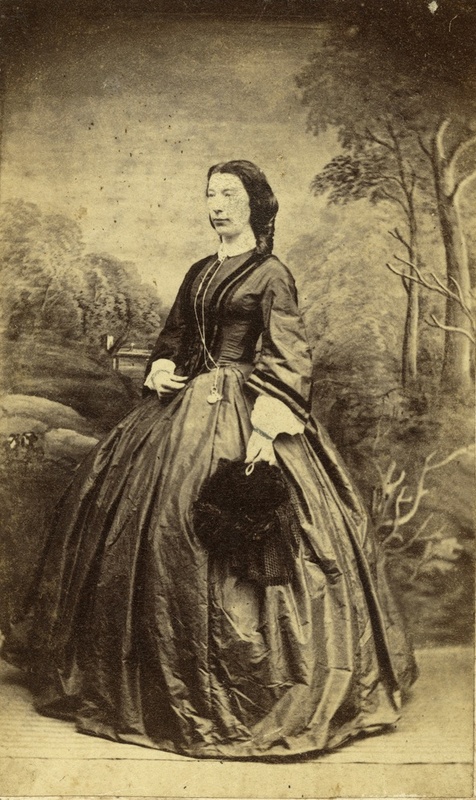 Louisa Margaret Campbell married Richard Thomas Sheild in 1864. A collision, resulting in the loss of over 100 souls, occurred on the night of the 11th Sept., about 15 miles off Portland, between the Avalanche, of London, bound for Wellington, New Zealand, and the Forest, of Windsor, Nova Scotia. The Avalanche sank almost immediately, only three out of the 94 souls on board being saved. The Forest sank shortly afterwards, and many of her crew were drowned. The collision occurred at 9.15 p.m. on Tuesday, 15 miles south-west from Portland, the Avalanche being on the port tack, and the Forest on the starboard tack. The latter struck the Avalanche amidships, then rebounded and struck her twice further aft, causing her to founder in about three minutes from first striking her. There was no time to launch the boats. The Times article included the passenger list noting that first cabin passengers included Mrs Sheild, formerly Miss Campbell, on her voyage to Wanganui. Marmaduke Campbell Sheild, born in 1867, died in 1868. Caroline Isabel Sheild, born in 1869, died in 1942. married (1) William Dabbs in 1893, (2) Hugh Stewart in 1899. Rosamunda Louisa Sheild, born in 1874, died in 1969, married Robert Lilburn in 1898 (their youngest child was Douglas Lilburn, composer). Helen Barbara Sheild, born in 1876, died in 1877. The Old Parish Register for Kilmonivaig recorded that Isabella Eliza and Susan Ann, twin daughters of Capt, Moses Campbell of the 72nd foot, Achnadell, and of Jessy Cameron, were born 24th September 1838 and recorded on 23 October 1838. Isabella died on board the Blenheim, while Susan died in Wanganui in 1847, apparently of whooping cough. From the Wanganui Library Ngā Ripo O Mua/Ripples of the Past, Wanganui Portrait Collection: Captain Moses Campbell; Mrs J Campbell; Mrs Sheild. On the Wanganui Library site there is provision to add stories to each photograph and to geotag them. Scots settlers played an important role in Wellington’s early years and their descendants are planning to celebrate the richness of that heritage. On 27 December 2015 it was 175 years since the Blenheim arrived in Wellington with migrants of mainly Highland farmers and their families. To mark the occasion, and to provide an opportunity for all the community to share in the commemoration, a picnic day was held with suitably Scottish themes and events. The passengers from the Blenheim disembarked at Kaiwharawhara, where they were welcomed and supported by Ngati Tama and their chief Taringakuri, so the family picnic was held on the 27th of December 2015. Events included Scottish dancing, kilt-making, children’s games, bagpipes and displays. The venue for the picnic was Onslow College, Burma Road, Khandallah. Because of access and parking difficulties it was not possible to hold the picnic at Kaiwharawhara Park as in 1990. See the Picnic Programme and Information Sheet for details of the picnic. Other functions were held in Auckland and in Wanganui to commemorate the departure of the Blenheim on the 25th of August 1840. See the posting Whanganui Dinner – Toast to the Emigrants and the comments and photographs on the Facebook Blenheim175 page. Memorabilia in the form of brooches, key rings and fridge magnets are also available for purchase – see Blenheim175 Memorabilia. Many of the settlers eventually moved to the Wanganui, Turakina and Wairarapa districts to take up land. Follow the link to the Blenheim People and to more information about the people who came to New Zealand on her. Follow the link to Jessie Campbell’s Journal and Letters to get a day-by-day account of the voyage and of how one family settled into life in New Zealand. Much of the information on this website has now been published as a book – for details go to The Blenheim People As A Book.